Over the years, running a typical medical practice has become so much more complicated than before. Challenged with everything from insurance specialists to human resources professionals to IT gurus, the doctor’s staff is rarely able to focus solely on patient care. But, what if you could? What if you could outsource many of these difficult, time-consuming, and often frustrating responsibilities and focus on nothing more than caring for the patients who need you? That’s what IT outsourcing is all about. These professionals can take over all or just part of your technical infrastructure and staffing needs, so that your medical practice can lower costs, boost productivity, and even take some of that unhealthy stress off your plate. 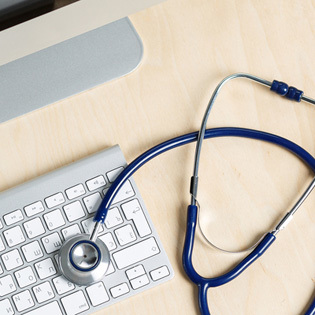 Here are some of the advantages of doctors offices partnering with an IT outsourcing firm. Medical practice management software, usually shortened to PMS, is software that handles the daily operations of a doctor’s office. This software usually allows the doctor’s staff to collect and store information on patient demographics, appointments, insurance information, billing responsibilities, and general information. Often, PMS will come together with a software solution called electronic health records, or EHR software. This is also available separately, as a stand-alone product. EHR is a digital version of a patient’s health records and medical history. These records are kept in real time, so the information can be made immediately available to other physicians, insurance companies, family members, or other authorized users as needed. PMS and EHR software can be obtained in the cloud through an IT outsourcing company. Having a cloud-based system is more affordable and also offers much easier access. Additionally, it provides another layer of security, as the cloud service provider acts as your personal IT security team. Just like any small business, the doctor’s office also has to store other data, access software applications, and use the Internet. That’s where IT outsourcing as a utility comes in. The outsourcing agency can act as your office’s external IT department, handling everything from data storage to virtual desktops to network security monitoring. It’s like having a fully-staffed, fully-functional IT department, only without the expense and effort. To read more about how IT as a utility works, visit Gregory Hanna’s author page on Amazon. Whether you choose to have your data and software applications stored in the cloud or on premises, IT outsourcing specialists can back up your data regularly and provide disaster recovery services, so that if something happens to your computers or facilities, you don’t lose all that valuable and irreplaceable patient and financial data. A cloud-based service makes it easy for workers, patients, other doctors’ offices, etc. to access the data they need via their mobile devices. While enabling access to authorized users, your IT outsourcing vendor will keep the unwanted mobile devices out of your data and far, far away from your mission-critical applications.